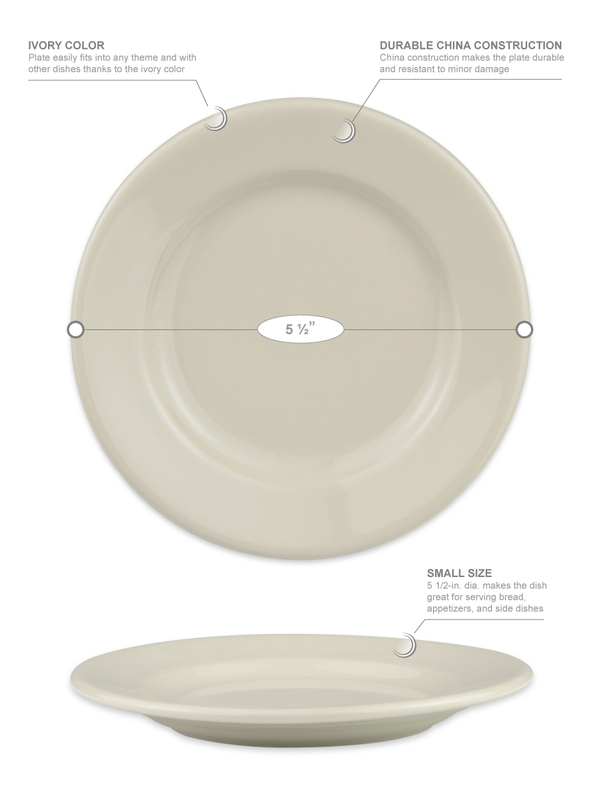 The Homer Laughlin 40300 Durathin plate has a 51⁄2 inch diameter that makes it an ideal size for serving bread and butter or salad, as well as acting as an underliner. The dish's ivory color will easily fit into any theme and with other dishware, while letting the food stand out. 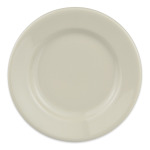 The Homer Laughlin 40300 Durathin plate is made of china for durability in commercial settings.